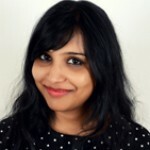 If you are reading this article, I suppose you want to lose weight quickly, without having to indulge in intense workouts. 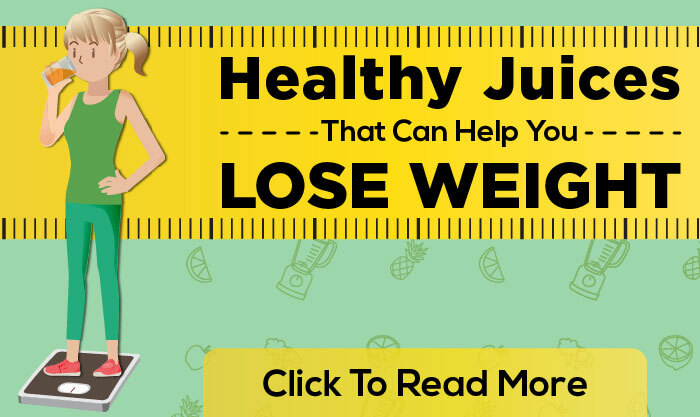 Fruits and vegetable juices are a tasty and healthy option to drop a few sizes. Substituting a few meals of the day with juices in your daily diet will aid in weight loss without affecting your health. Fruit and vegetable juices have anti-inflammatory properties and are a good source of vitamins, minerals, dietary fiber, and antioxidants. However, they lack in proteins, carbs, and fats that our body needs to function normally. 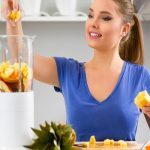 Therefore, it is not advisable to stay on an all-juice low-calorie diet as crash dieting can make you gain weight instead of the other way around. 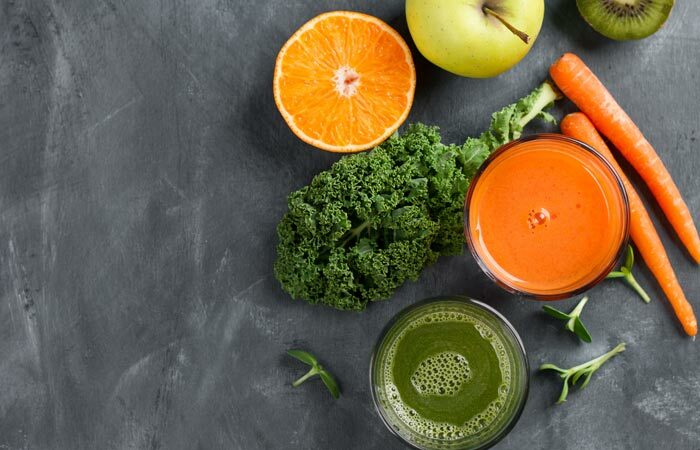 Be it weight loss or skin and hair care, these juice recipes are tasty, healthy, and easy to make. Take a look. Throw in the ingredients into the blender. 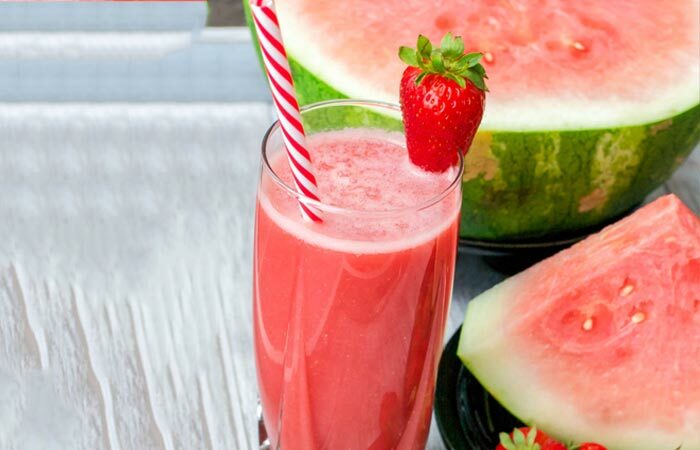 Rich in vitamins, minerals, dietary fiber, and natural sugar, this drink will keep you hydrated and help you lose weight, fight various skin problems, slow down aging, and reduce stress. Blend the cucumber, kiwis, and lychees. Pour the blended goodness in a juice glass and top it with ground flaxseeds. Stir well and sip it! This drink is amazing for your skin. All the ingredients are rich in various micronutrients that cleanse your system, help you lose weight, and strengthen your immune system. Roughly chop the kale leaves and the peach. Now throw in all the ingredients into a blender. Kaempferol and quercetin are the two most abundant antioxidants found in kale. 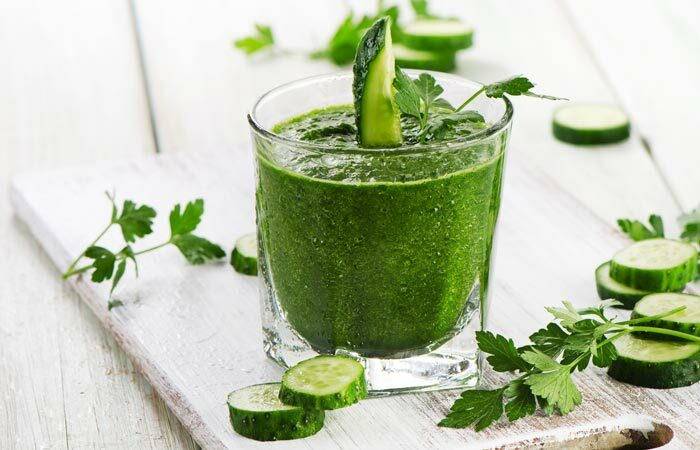 This drink is rich in other micronutrients that support your digestive system, help lower cholesterol, aid in quick weight loss, and are good for your hair and skin. Roughly chop the mango slice and throw it in the blender. Now add the yogurt and the lemon juice. Refrigerate for a few minutes before drinking. 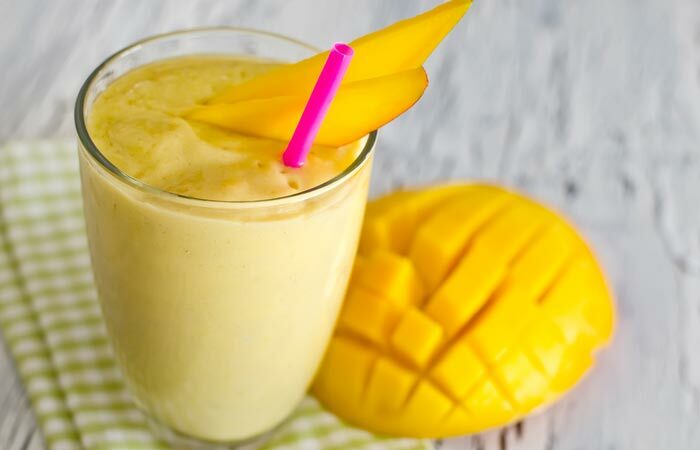 Mangoes are loaded with nutrition and can help you fight a lot of diseases. Though this drink is on the higher side of the calorie chart, drinking it once a week will do you more good than harm. 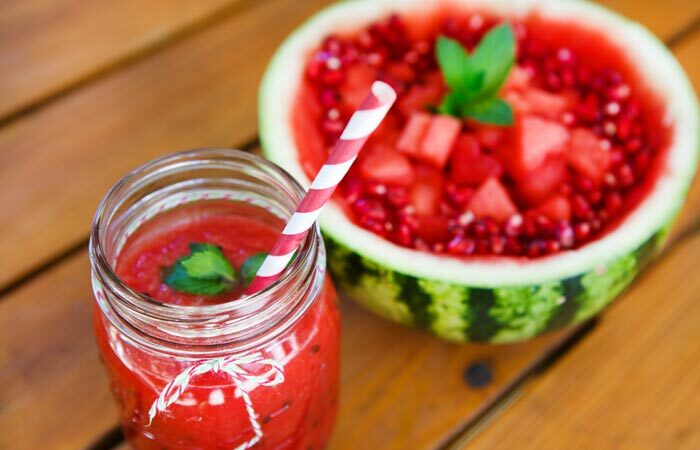 Throw in the watermelon and pomegranate into the blender. Add the apple cider vinegar and cinnamon powder. 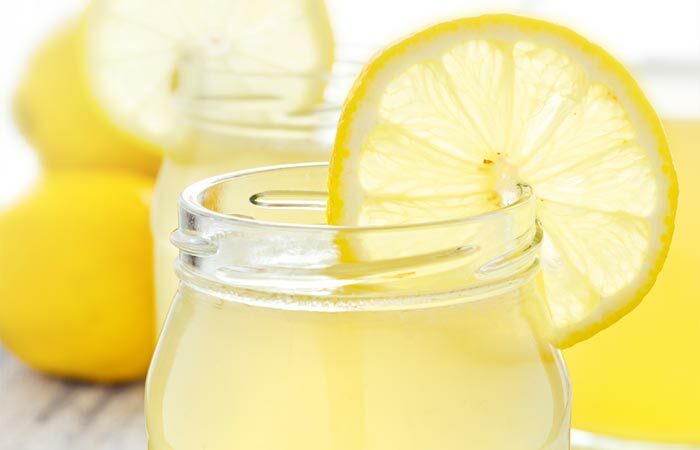 All the ingredients in this drink will aid weight loss and help improve your overall health. Rich in antioxidants, this is a perfect drink if you want to lose weight real quick. Roughly chop the spinach and cut the cucumber and pineapple into cubes. Throw all the ingredients into a blender. This sweet and delicious drink will provide your body with natural electrolytes, vitamins, minerals, and dietary fiber. It will strengthen your bones, help in digestion, improve your eyesight, and protect you from cold and flu. Roughly chop all the veggies and throw them in the blender. This nutritious drink will help boost your body’s immunity, support the digestive system, lower bad cholesterol, and also fight cancer. Roughly chop the apple, tender coconut, and peach and throw the pieces into the blender. 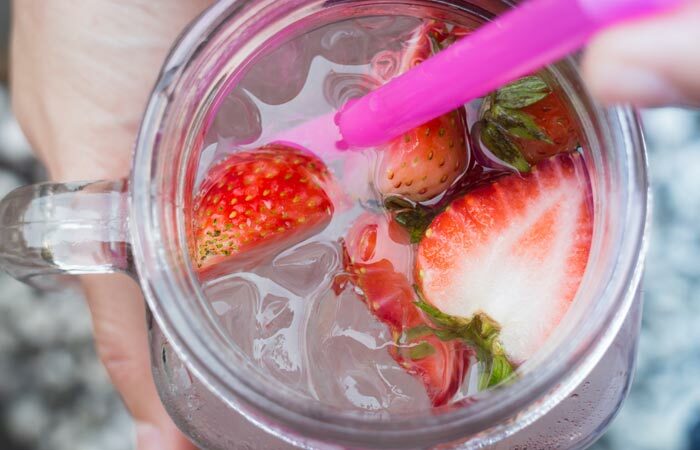 Add the strawberries and give it a spin. This low-calorie drink is loaded with natural electrolytes, carbohydrates, vitamins, and minerals. 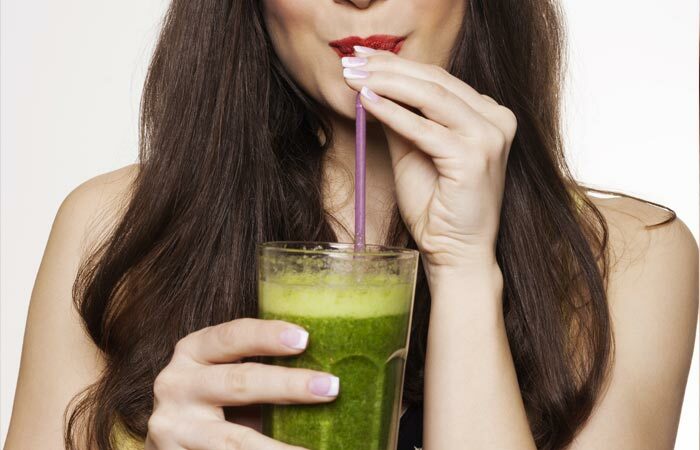 This drink helps to lower blood pressure, relieve stress, and make your hair and skin healthy. Cut the cucumber, beetroot, and tomato into small cubes and throw them in the blender. Add the cranberries, a pinch of salt, and cayenne pepper. Add roughly chopped coriander leaves before drinking. 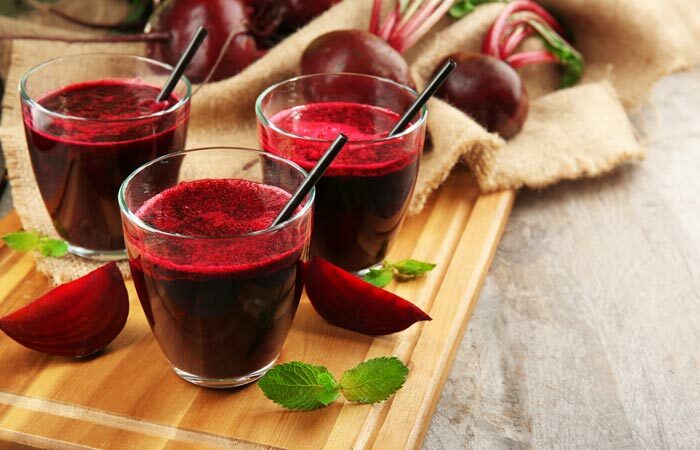 Rich in minerals, proteins, carbohydrates, vitamins and minerals, this drink is a one-stop solution for many health problems such as obesity, cancer, heart disease, bacterial infection, indigestion, and low blood pressure. It also helps in reducing stress. Wash the bitter gourd, cut it into two halves, and remove the seeds. Slit open the aloe vera leaf and remove the gel. Chop the bitter gourd and cucumber into small cubes. Blend the bitter gourd, cucumber, and aloe vera. Tip: Do not add salt and squeeze the bitter gourd after chopping it as you will lose 80% of the goodness of the bitter gourd. If it’s too bitter for you, try to drink just once a week. Needless to say, if you are diabetic, you should drink this elixir. Loaded with vitamins and minerals, this drink helps in healing wounds, burns, ulcers, and in preventing cancer, acne, liver disease, etc. Throw in the tomatoes, watercress, and coriander leaves into a blender and give it a spin. Add a dash of lime juice and a pinch of salt and pepper. Rich in beta-carotene, lycopene, lutein, vitamins, minerals, antioxidants, and dietary fiber, this drink is a toast to good health. The ingredients will boost your body’s immunity, protect you from diseases such as cancer, indigestion, obesity, heart disease, and also make your skin glow. 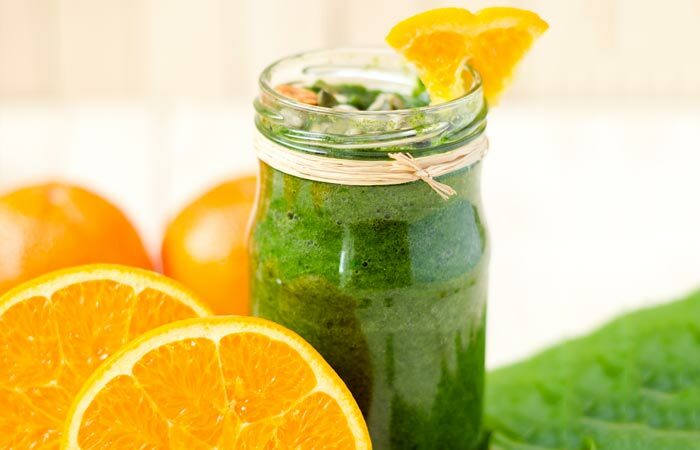 Throw in the roughly chopped carrots, apple, kale, and grapefruit into a blender. Add the watermelon cubes and spin it. Add a pinch of black pepper and drink. This drink is highly recommended for those who really want to lose weight quickly without opting for crash diets. It provides your body with a good amount of nutrition and energy. It helps to stabilize the blood pressure, improves immunity, slows down aging, protects from microbial infections, and aids in digestion. Deseed the gooseberries and roughly chop them. To prepare the roasted cumin powder, take 2 tablespoons of cumin seeds and fry in a saucepan till they turn dark brown. Then, grind the seeds to form the powder. Add the chopped gooseberries, roasted cumin powder, and coriander leaves in a blender and spin it. Add a pinch of salt and cayenne pepper before drinking. 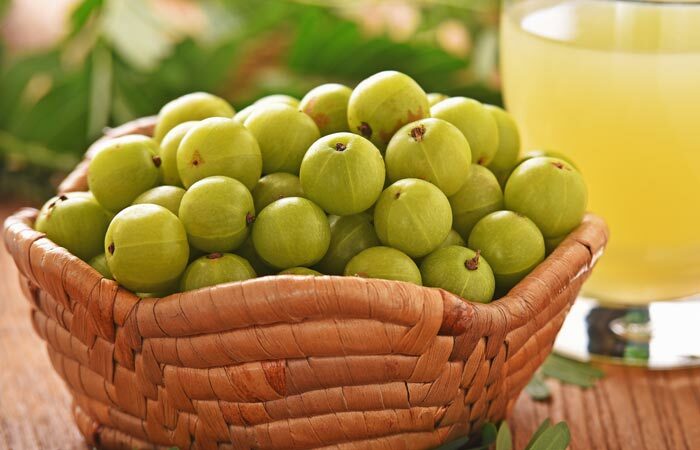 This spicy and tangy gooseberry drink is a perfect way to jump start your day. 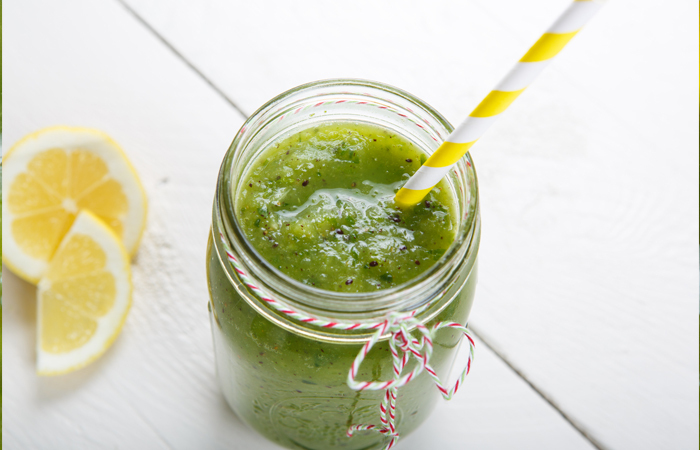 This drink will help you lose weight and is also good for your skin, hair, and immunity. Roughly chop the apple, ginger root, and the mint leaves. Throw them in the blender. Add the grapes and spin it. Finally, add a dash of lime before drinking. 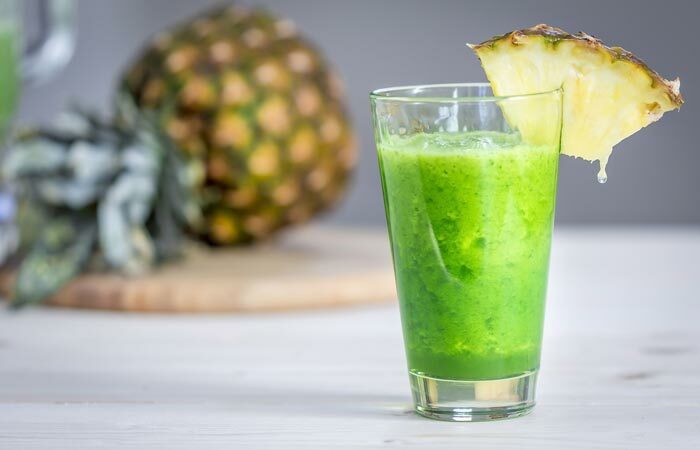 This weight loss drink will provide your body with nutrition and protect your body from heart disease, diabetes, gut infection, constipation, cancer, arthritis. It also helps in lowering cholesterol levels and preventing menstrual cramps, joint pain, and nausea. It can help fight common cold and influenza as well. Split the aloe vera leaf and scoop out the gel. and give it a spin. 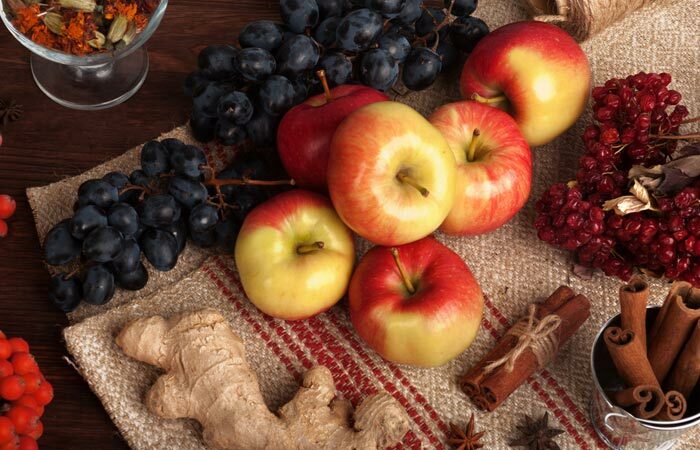 This drink is rich in antioxidants, vitamins, and minerals and also has anti-inflammatory properties. Apart from helping you lose weight, it will also protect you from cancer, skin disorders, and bacterial infections. Roughly chop the kale leaves, pear, and cucumber. Add these ingredients into the blender. Add a dash of lime, roasted cumin seed powder, and coriander leaves before drinking. 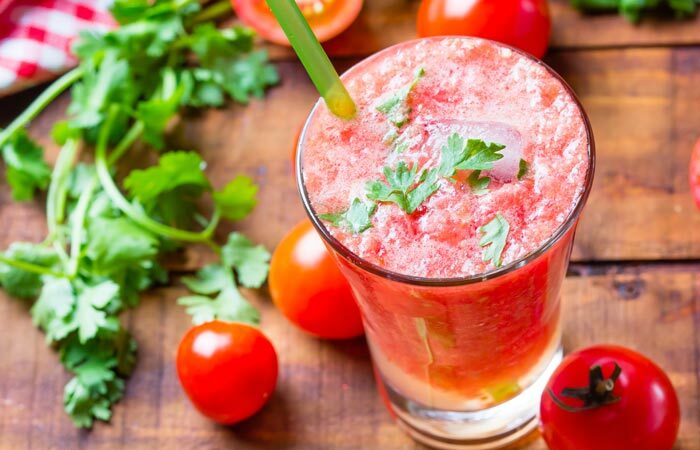 Full of vitamins C, A, and K, this drink provides nutrition to your brain, aids in weight loss, protects the eyes, aids digestion, prevents menstrual disorders, and helps to maintain normal blood sugar levels. Peel the orange, turmeric root, and carrot. Roughly chop the carrot and the green apple. Throw all the ingredients into the blender and give it a spin. Add a pinch of salt and stir well before drinking. This drink is full of vitamins A and C and minerals. It protects your body from a host of diseases such as cancer, Alzheimer’s, heart diseases, arthritis, and mental illnesses. 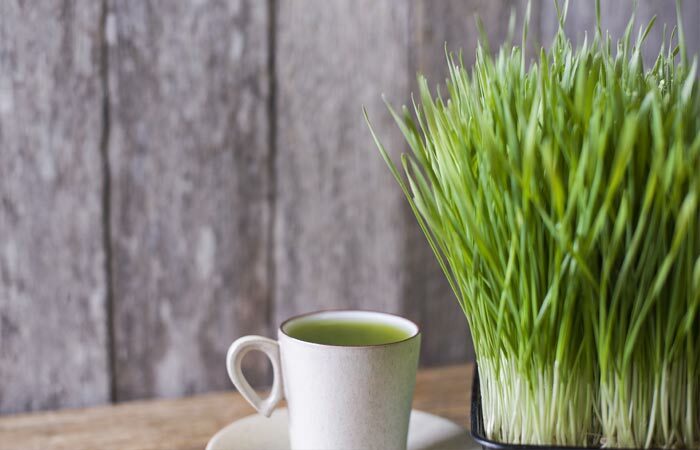 Crush the wheatgrass with a mortar and pestle and strain the juice into the blender. Add roughly chopped spinach and bell pepper into the blender and give it a spin. Finally, add the lime juice, flaxseed powder, cinnamon powder, and a pinch of cayenne pepper. 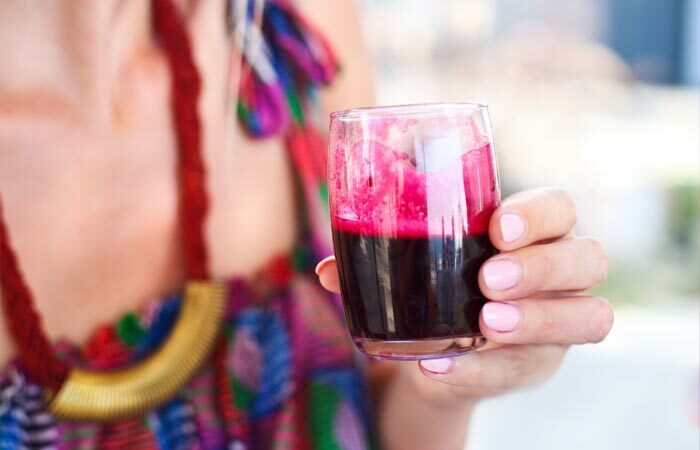 Rich in vitamins, minerals, and proteins, this drink is good for your hair, nails, skin, and immune system. It also slows down aging. Juice the lime and lemon in a glass. Add the maple syrup, roasted cumin powder, salt, and black pepper. Finally, add water and stir well to drink. 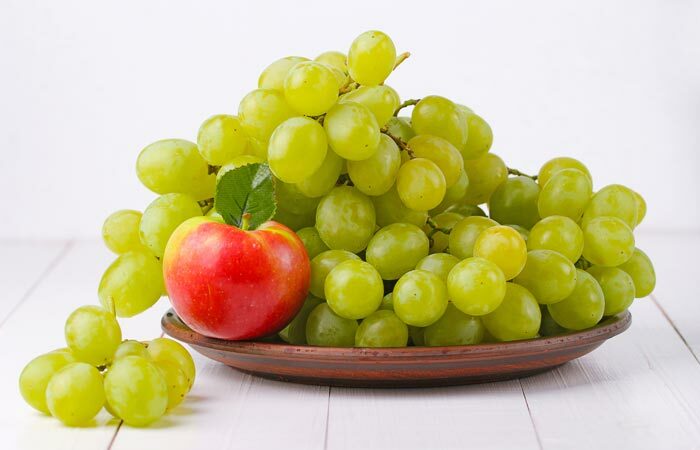 Rich in vitamin C, calcium, potassium, magnesium, zinc, riboflavin, and antioxidants. Keeps you hydrated and improves your immunity. Chop the celery stalk and the bell pepper and throw them in the blender. Add the crushed garlic and fennel seeds and give it a spin. Finally, add a pinch each of salt and black pepper. Stir well and drink. Rich in dietary fiber, vitamins, minerals, this drink aids digestion and weight loss and protects you from cancer. Share your healthy juice recipe and tell us why you like to drink it and how it has helped you to lose weight by commenting in the comments box below.